Finances are something I used to shy away from. I let others deal with it. But that’s not right. You have to be financially smart. You have to do smart financial planning to live life your way, instead of life dictated by others around you. Choosing your own personal money goals can motivate you better to earn the money you need to achieve that goal. And of course, goals will change over a course of time as you achieve milestones. For example, saving for your own home is a great motivation tactic, and once you’ve moved into your new home, maybe now you can update your money goals to take a vacation. As life happens, plan and work for your goals. I mean it, budgets don’t work because you can’t possibly anticipate or predict life as it happens. 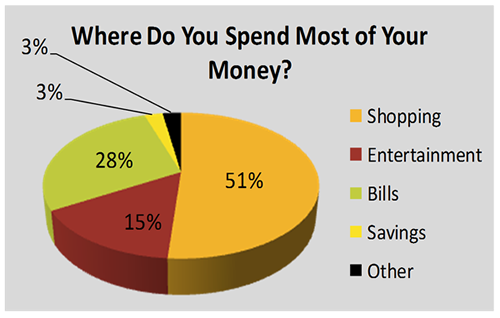 However, instead of getting frustrated with budgets, you can try create a spending plan starting with your savings. Pay yourself first (within reason) to boost your savings (in a savings account, or retirement plan), and then pay off the monthly bills. This ensures you have money saved up for emergencies, and your monthly dues are resolved too. That’s financially smart 101. We’ve all given the logic that we save money with sales at our favourite stores, but we do know the truth – we end up buying way too much to benefit from any sales at all. I myself tend to buy clothes from the “New Arrivals” section instead, even though I would’ve entered the store for the sale itself. Sales are a bane to our existence. Buy clothes and accessories that you absolutely need. It’s our own precious money, so treat it nicely but not splurging on mindless retail therapy. Tracking your spending lets you have an idea about actual spending vs. ideal spending, aka your budget, if you have one. This also lets you update your budget in a more effective manner, while giving you an idea where you need to work to boost your savings. For example, if you’ve been spending way too much on eating out, chances are you will actually benefit both health-wise and money-wise if you cut down on the number of nights you eat out. Eat home-cooked food instead, and be more healthy. While tracking your spending, track your credit report on a regular basis too. Check CIBIL for your latest information to plan better on being financially smart. And take action, if and when needed. Pay off your credit card balances in full every month. If you do have to carry a balance (because you simply can’t pay it off in full), try to pay off more than the minimum amount and refrain from using the credit card till the balance is paid off. And don’t forget to take advantage of any reward points offered by your credit card. Most credit card companies do. If you have any student loans, concentrate on getting them over because they can put a dent on your credit report. However, loans like car loans and house loans can add brownie points to your credit report, provided you are paying off the premium payments on time. And in case you have personal loans from other people, try to pay off the high-interest loans first, and then concentrate on the rest of the debt. In today’s economy, don’t rely on only one source of income. Try to get a second job, or third. There are many websites who can provide you with great opportunities. Try Sheroes.in, freelancer.com, worknhire.com, for more information. And remember to track and record your payments received as part of being more financially smart. If receiving fees in cash, it’s more prudent to request in cheques instead – your accountant can give you the technical reason. Buy insurance to protect different aspects of your life – home, office, health, life, car, etc. It’s good for you, and good for the rest of the family. And pay on time always. And did you know you can actually get a loan from your life insurance policy? In emergencies when you keep beating yourself about what to do next, take a loan from your life insurance policy and work with the policy agent to plan out an affordable pay-back plan. Declare your revenue, no matter what. Get a good accountant who not only does your taxes but also thinks for your benefit. There are many perks for women in India when it comes to taxes, so you can pay a lot less in taxes, as compared to your male counterpart. And don’t forget to keep a record of your taxes too. You never know when you will have a need for them. I mean, look at Amitabh Bachchan’s 2001 tax case – it’s going to be reopened this year. So reading all these points on being financially smart, do you think you are? I became more financially “aware” once my baby was born. Though not financially “smart”, I’d like to think of me as a work-in-progress. I know my spending limits, work multiple jobs, and am serious about being up-to-date with my insurance policies. But some areas – understanding taxes, retail therapy tendencies – are a few where I am still struggling with. Let me know what you think of these points to become more financially smart. 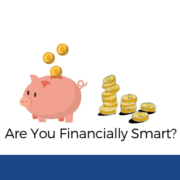 What do you do for smart financial planning? https://www.anksimage.com/wp-content/uploads/2016/05/AnksImage-Blog-Image-Template.jpg 315 828 Ankitaa Gohain Dalmia https://www.anksimage.com/wp-content/uploads/2018/02/mylogo.png Ankitaa Gohain Dalmia2016-05-16 08:36:452019-04-16 20:35:04Are You Financially Smart?